Gordon Willey, profound archaeologist was born march 7th, 1913 in Chariton Iowa. Willey moved to Long beach California when he was 12 years old. He began to excel at track and field specifically in the 60 and 220 yard dashes, and eventually earned himself a scholarship to the University of Arizona where he completed his bachelor as well as master degrees(nasaonline). Willey wasn’t sure what to study until he read “conquest of Mexico and Peru” by William Prescott which was the piece of work that made him discover his love for archaeology. At the University of Arizona, he studied under professor Bryon Cummings expressing a specific interest in the Mexico area as well as new world prehistory. 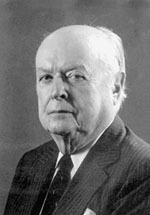 In 1936 after applying to a number of doctorial programs and getting denied Willey, completed a fellowship in Macon, Georgia with Arthur Kelly. This fellowship involved excavation and analyzing the material culture in the area. While in Georgia Willey met his wife, Katherine Winston and they soon got married. Willey then completed his doctorial degree at Columbia University His research for his doctorial degree took place in Chancy valley Peru (all NASA). In 1943 Willey became a professor of anthropology at Columbia University, then becoming a professor at Harvard for over 36 years. Vogt 2004 . Willey’s career in the archaeology field was long and successful. His work ranges from excavations, to publications with major significance on his work with settlement pattern studies. Willey started his career working mainly in the southeaster United States analyzing pottery, then moved his interest into the South American area, specifically Peru. A major change in Wiley’s career was when instead of being invited on a field excavation he was sent to complete a “settlement survey”. Although Willey was pissed and didn’t know it at the time, settlement patterns would become the highlight of his career. Wiley’s settlement patterns and publications of them set a higher expectation for future archaeologists1 .Willey viewed settlement patterns as a way to look at cultural and ecological factors of past civilizations and as away to watch the growth of technology development as well as social patterns. He introduced settlement patterns at a regional level expressing the idea that you can learn so much more about a culture if you look at the cultures and settlements around it Sifuntes,2004 . Willey was employed by the Bureau of American Ethnology, Smithsonian institute from 1943 to 1950 where he worked on surveys of the Viru valley in Peru 3. In order to obtain a map of Viru Valley while working in Peru Willey combined the use of field surveys and ariel photography. A technique that has been used for generations.After his work on the settlement patterns of the Viru Valley, Peru, Wiley started to focus on spread of cultural behaviors across a regionSifuntes,2004 PUBLICATIONS Many of Wiley’s publications are classics in archaeological literature especially those that are on new settlement patterns as well as his work about the Florida gulf coast. For all excavations Willey published monographs or settlement patterns. His publications that are most influential and that he is known for include; -	Willey first published in 1937, about all of his work at University of Arizona under his professor Charles Fairbanks who specifically focused on dendrochronology’s, after he tried to establish a dendrochronology in the southeastern united states Vogt 2004 . -	“Crooks Site: A Marksville Period Burial Mound in LaSalle Parish, Louisiana”, Wiley’s first monograph published in 1940 was based on his collaboration work with James Ford -	Ford and Willey continued their work together to produce the article “A interpretation of the Prehistory of the Eastern United States”, which became a traditional piece of work in the archaeological field Vogt 2004 . -	“Prehistoric settlement patterns in the Viru valley Peru” published in1955, is based on Wiley’s first settlement pattern survey in the Viru valley in Peru. This quickly became a classic for archaeologists everywhere 1. Some even say it was his most important publication. This publication made the methodological approach of archaeology popular which has been essential in the field of archaeology for over fifty years and for many more to come Sabloff 2004 . -	“Method and Theory in American Archaeology “published in 1958. Willey describes his definition and view on culture history and symatics. Mainly showing the culture of pre Columbians in relation to material culture, this publication eventually developed a chronology with the major emphasis on culture change. Willey defined the term “systematics” as a chronology based on artifacts and features that were discovered which shows a development of growth and change across cultures Fagan, pg45. -	A two volume work on the New world in pre Columbian times “An Introduction to American Archaeology”. This synthesis displayed Willey as a huge contributor to archaeology in south and central America Sabloff 2004. -	Willey wrote numerous articles including “The Early Great Styles and the rise of Pre Columbian Civilizations” published in 1962 and “Mesoamerican Civilization and the Idea of Transcendent” published in 19763. Along with writing his own publications Willey helped edit important archaeological work as well including the “Handbook of South American Indians” Sabloff 2004. Willey also co-authored many monographs which improved the study of culture history Fagan, pg45. EXCAVATIONS Willey completed a number of excavations include sites in the southeastern United States, Peru, Panama, Belize, Guatemala and Honduras (nasa). He began his excavation career with research in the southeastern united states with a main focus on pottery Saxon 2002. His excavations on the Florida Gulf coast are influential to archaeologists all over the United States. He later shifted focus from the southeastern United States to Peru where he excavated important sites for the Incas in 1941, including his most popular work with settlement patterns, the Viru Valley in Peru Peabody Museum . Willey was a successful archaeologist who won numerous awards and honors and was a member of numerous associations in the archaeological field which include… -	Being elected into the American philosophical society Sabloff 2004. -	Being a member of the National academy of sciences Sabloff 2004. -	Was a member of the American Academy of Art and sciences Sabloff 2004. -	Being the President of the American anthropological association from 1960 to 1962 Vogt 2004 . -	Being the President of the society of American archaeology from 1967 to 1968 Vogt 2004 . -	Being a member of the royal anthropological institute of Great Britain and Ireland Vogt 2004 . -	Being a member of The society of antiquaries Vogt 2004 . -	Being a member of sociedad Mexicana de antropolgia Vogt 2004 . -	Being a member of British academy Vogt 2004 . Due to all of Wiley’s discoveries he was appointed Harvard’s first Charles P Bodwitch professor of central American ad Mexican arch at Harvard in 1950 and was the first scholar to ever do so 6. He then eventually became the department chair, and then in 1984 became the Bodwitch prof. emeritus Peabody Museum Willey was so successful and influential in the archaeology world that he has an award named after him, based on his past accomplishments. The Gordon R. Wiley Prize is in honor of Wiley’s past paper in the American Anthropologist, that illustrated the concept that archaeology falls under anthropology or nothing at at all Awards, American Anthropology . However, in an interview with David Freidel, Willey states “I’ve always regretted that statement (referring to archaeology is anthropology or nothing at all) I suppose its true, but it depends on how you define anthropology” . In this interview Willey makes it appoint to include art history in the study of anthropology Freidel . Willey’s paper was the best paper published in American Anthropologist for three whole years earning an award due to its popularity and context. The Gordon R Willey prize became an award winning prize in 1997 given to the archaeologist who has the best piece published in the American Anthropologist every three years. This honor proves Willey to be one of the most influential archaeologists known to date Awards, American Anthropology . Some of Willey’s main contributions to the archaeological community were his publications on his archaeological research with surveying, excavation and analyzing in Florida, Louisiana, Peru, Panama, Belize, Guatemala and Honduras. These publications were so influential that they are still used today Sabloff 2004. Willey introduced the concept of being able to learn about past societies through material culture and make inferences about past civilizations Vogt 2004. Willey researched and examined tombs of past societies in order to learn and discover about past societies social and economic lives. He even investigated house hold items which showed ancient societies use of environment and its civilization. This formed the views of the ancient peoples that we know today Saxon 2002. Willey has made several major contributions to the field of archaeology but arguably his most important contribution is his work with Settlement patterns1. Willey was widely known for the rise of settlement pattern studies defining settlement patterns as “a way in which a man disposed himself over the landscape he lived”. Willey also states “these settlements reflect the natural environment, the level of technology on which the builders operated and various institutions of social interaction and control that the culture maintained” showing the importance of his work with settlement patterns on uncovering information on past cultures Sabloff 2004. He argued that past civilizations culture that was uncovered through his settlement pattern studies play a large part in societies current culture. Wiley’s settlement patterns helped give insight into past civilizations cultures as well especially the Mayans. His settlement pattern studies show the hierarchy of social status in past civilizations. The chronologies he developed were helpful to numerous archaeologists Vogt 2004. Wiley’s publication “Prehistoric Settlement Patterns in the Viru Valley Peru” made the methodological approach of archaeology popular which has been essential in the field of archaeology and will continue to be a crucial approach. Willey was seen as a major archaeologist all over the globe. Some even called Willey the “dean” of new world archaeology Oxford . Wiley’s view on archaeology was that it needed a historical framework of culture change, he fought for and stood by his theory about culture history. He believed that science and archaeology are linked, an idea that still stands today. What made Willey so great was his drive to dig more. He was never satisfied always wanting more answers and more information. Willey’s work was so influential it was the basis for many seminars Vogt 2004. Willey brought settlement pattern studies to a regional level and was the first archaeologist to use large scale settlement patterns for an excavation. These large scale settlement patterns showed the importance of the methodological approach towards archaeology and impacted the knowledge of past social, economical and political engagements across cultures. Without all of Willey’s work on settlement patterns we would have no idea how past civilizations relate on a cultural level or how cultural activities were spread across a region Sabloff 2004 . Even while Willey was retired he still worked with other archaeologists to improve and contribute to their work. He was seen as a mentor to these students along with several archaeologists. This shows passionate Willey was about the archaeology world. Willey eventually became a professor at Harvard and continued his archaeology career at Harvard for over 50 years mainly working on excavations and surveys in Panama, Belize, Guatemala and Honduras. After Wiley’s archaeology career was over he began to write fiction, plays and musicals, many of which are award winning. He is especially known for his fictional novel “Selena” Vogt 2004 . Willey passed away in 2002 due to heart failure. He was married to his wife Katharine Whalley for 63 years and was the father to two daughters, Alexandra Gurelnick and Winston Adler Vogt 2004 . Gordon Willey will leave behind his passionate and innovative spirit as well as his legacy to the archaeology world. He will be remembered as one of the first archaeologists to develop regional settlement patterns and his ability to relate them to past societies. Fagan, B. M. (n.d.). The great archaeologists.